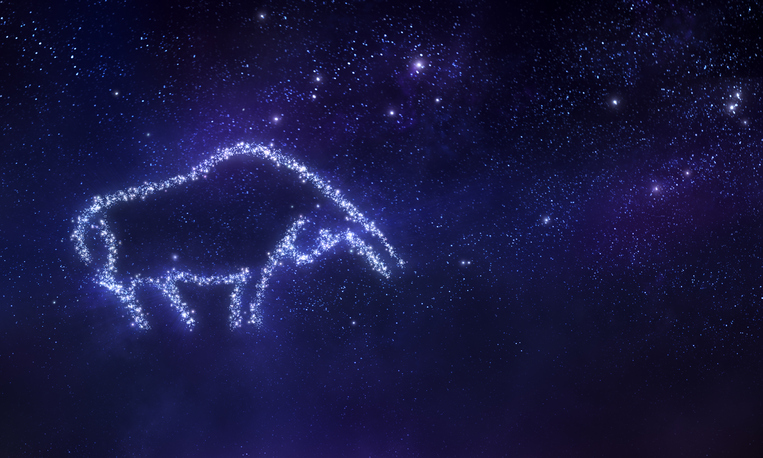 If you're the mama of a Taurus, born between April 20 and May 20, you're in luck: your little one is generally a calm and composed, if stubborn, child. Read on to learn more about your tiny bull. Taurus cuties are little bulls, for sure. They're sweet and quiet when unprovoked, but try to force them into something they don't want to do and these little ones won't budge. Your little one has very strong likes and dislikes. Taureans tend to get set in their ways and their ideas. You won't win a challenge against one! Don't spring a surprise on your little Taurus, she'll hate it. Even as babies, they love and embrace routine and predictability. Introduce changes early and slowly to allow your little one to adjust and make the new work for him. Taurus is ruled by the five senses, and one way you'll see this in your baby is through his love of touch. Your Taurus baby likes to be swaddled tightly, and snuggled close. He needs to be held securely in your arms during feedings and for reassurance. If your baby gets upset, check his diaper first, because Taurus babies are particularly in tune with physical discomforts. Everything Will Go Into the Mouth! If any baby is going to be a thumbsucker or a pacifier junkie, it's a Taurus. More than other kids, children born between April 20 and May 20 tend to put everything in their mouths (this is another symptom of being ruled by the five senses). Although thumbs and pacifiers are useful for soothing your little one initially, you should carefully consider whether you want to start a habit that could be very difficult to break in your determined child! Despite a tendency toward stubbornness, the Taurus child is highly likable and well-regarded. Taurus are the most emotionally stable of the 12 signs. They tend to be very calm, cheerful, positive, and loyal personalities. Their actions are predictable and they're always balanced and fair in their play. Although they rarely wear their emotions on their sleeves, tiny Taurus babies and children desire and need to be shown a lot of love and affection. Be generous in your hugs and let it be known—often!—how much you love and appreciate them. As an Earth sign, Taurus babies love to be and play outside. They also tend to be quite musical, so offer toy instruments or even just pots and pans to bang on. You can also delight your little bull by singing to him and playing music in the background. Although Taurus children are generally quite sweet and fair, they often have a temper buried deep that, when called up, is demonstrated through fists and feet. You'll need to teach your little one that hitting and kicking are not OK and that she could hurt others through her actions.